Hot Toys has revealed the official images of another member of Team Iron Man from Captain America: Civil War with their Black Widow collectible figure. 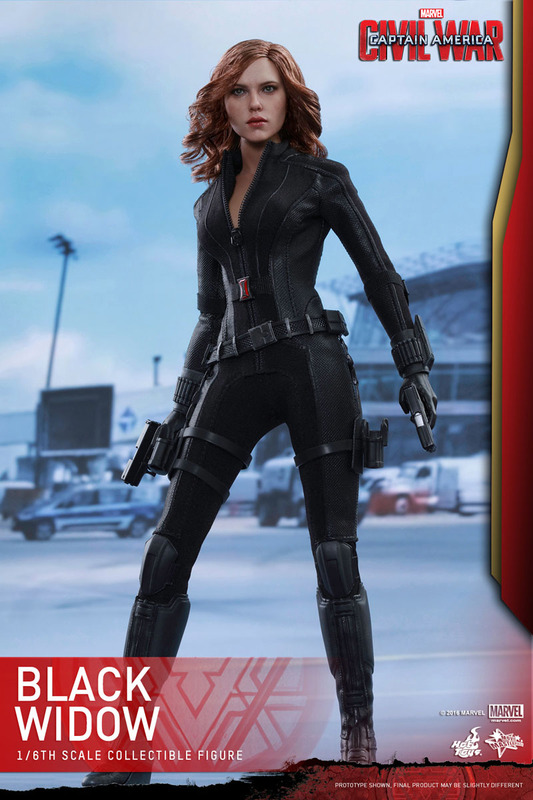 The highly-accurate collectible is specially crafted based on the image of Scarlett Johansson as Black Widow in the film and features an all-new head sculpt with real fabric hair, brand-new Black Widow outfit made with fine detail textures, variety of weapons, and a Captain America: Civil War-themed figure stand. Furthermore, an approximately 3cm tall miniature Ant-Man is included as a bonus accessory! 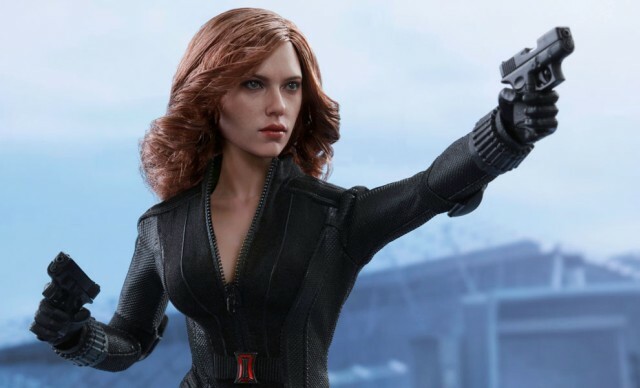 You can pre-order your own Black Widow collectible figure by clicking here and stock up on the rest of the Civil War Hot Toys at the following links: Captain America, Iron Man, Falcon, War Machine. Hawkeye, Ant-Man, and Black Panther.